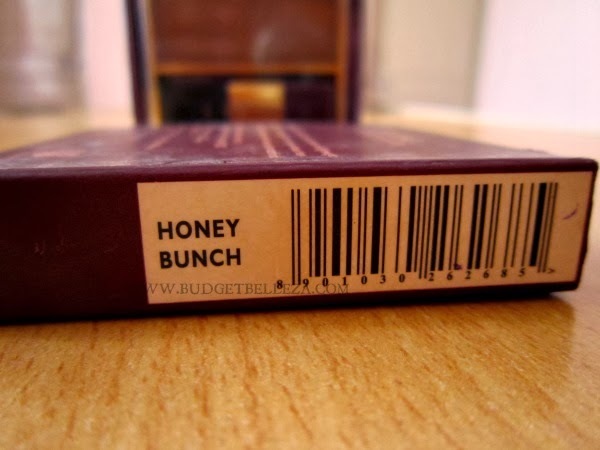 Honey Bunch is a warm brown shade without any shimmer (though a slight shimmer is visible in the pan,it does not get transfer to the skin). 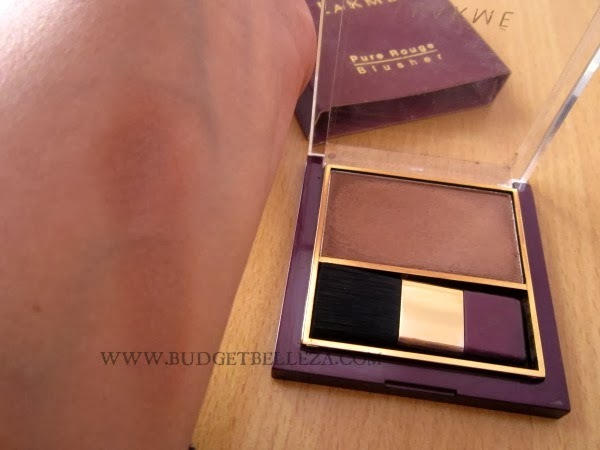 The packaging shows it as a true brown shade but on my skin it shows pink undertones as well. The fact that it has satin matte finish makes it super wearable even during the day. It comes in a boring purplish-maroon square case,with a transparent attached lid. It also has a brush inside which is hardly of any use. The only good thing is that it is sleek enough to fit in your every day makeup pouch that you carry in your handbag. I personally love using bronzers and blushes. They give so much definition to the face.Bronzer is one item that can really make or break your look. It can make you look warm, glowy, and naturally enhanced or it can just make you look like a clown. A good rule of thumb is to just choose a color two shades darker than your skin tone. Any darker and you will be slinging mud on your face. Since Honey Bunch is almost 2-3 shades darker than my natural skin tone,I very conveniently use it to contour my face. It works equally well as a day+night time blush too. 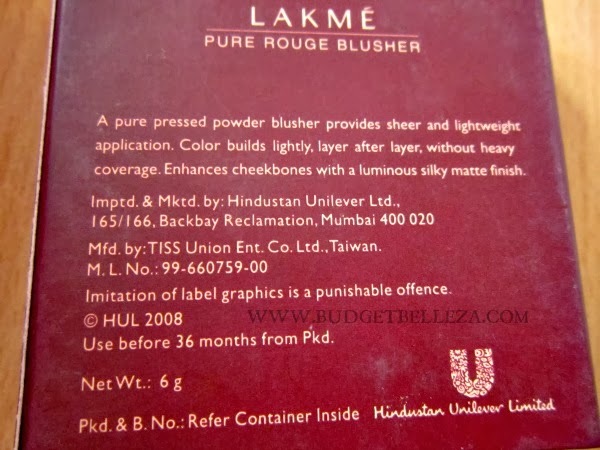 A blush that would work on all skin types. 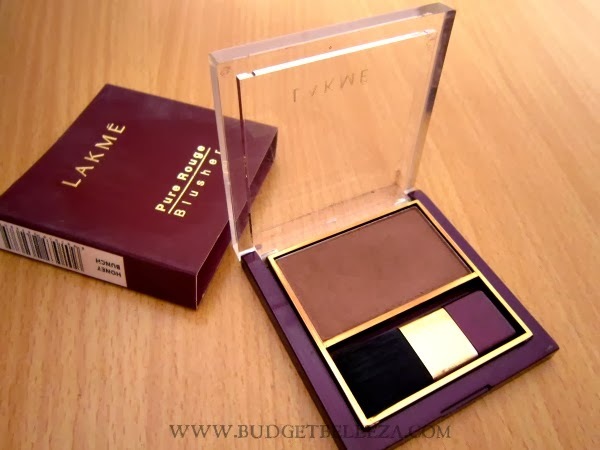 Works well as a bronzer/contour powder on lighter skin tones. The texture is very smooth. The blush can be built upon. Stays on for 4 to 5 hours. Gives a satin matte finish. Gives definition to the face. Sleek travel friendly packaging . Brush is of no use. My goto everyday blush,that I personally use a s a bronzer. Looks amazing on u. Subtle yet gives perfect chiseled cheeks. 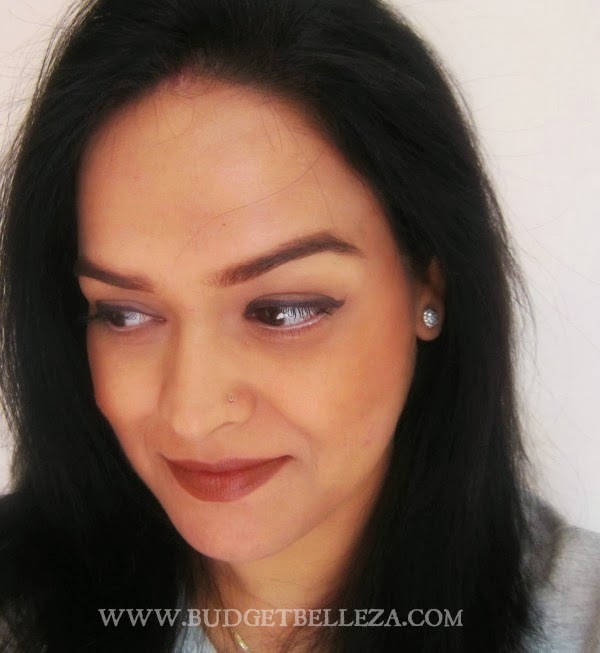 this a nice one.. i agree why waste money on expensive bronzers.. nice fotd and good review Aditi !! A review , which has helped me a lot , I wanted sleek contour kit......but high dollar rates ..phew!............so, as you say little shimmer is there?? can I use it to contour? I shall chk it out asap..
Dear,the shimmers are there only in the pan..it comes out pretty matte on skin. Sure it can be used for contouring,if U're fine with a bit of pink undertone to it. would it suit my NC 42 skin? I can't say if it'll do the contouring job perfectly (might not come as deep a shade as required),but as a blush it wud do wonders on u...its easily available everywhere,check once. It's perfect...I have the rose crush one and it too works as a nice bronzer....in fact, I wouldn't mind saying these are better than the absolute ones...what say? Haven't tried the absolute once,they look so tempting though...but I'm pretty satisfied with this one. I have another in Ginger surprise...totally love it! Thanx Sweetie..Compliment from a magnifico matters. I have Ginger surprise too Bidz n live it to bits. U r looking like Esha Deol :). Loved the shade! I've heard that before too Megha..
You look so gorgeous dear, just loved this blush on you. I love the blush that u use for contour...its perfect matte blush...definitely trying this in future!